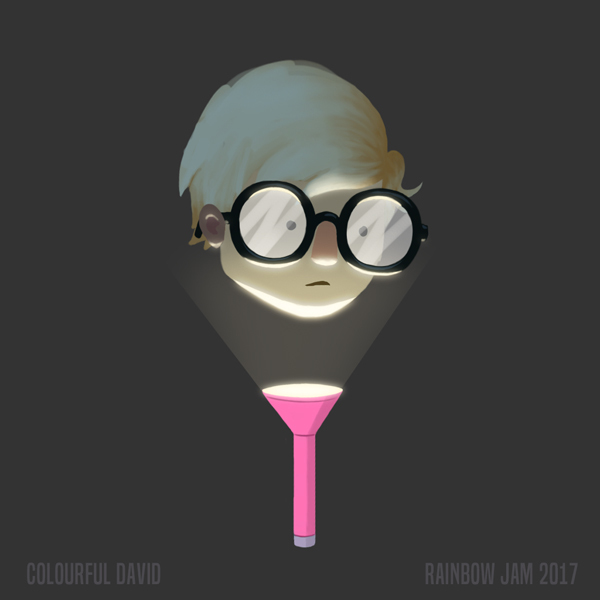 Here's the dev log for my entry - Colourful David. 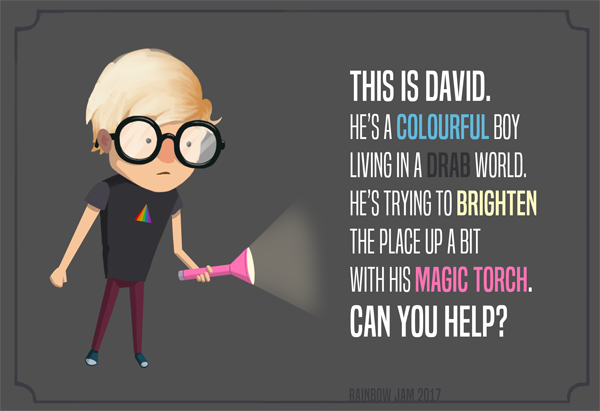 It's a puzzle game where you direct David's magic torch beam around the environment to brighten the place up. I fixed all (I think) of the bugs and unresolved issues with the beam modifiers, so now they can all be selected, rotated and moved to unoccupied floor tiles. You can't move a piece to a floor tile that is already occupied. 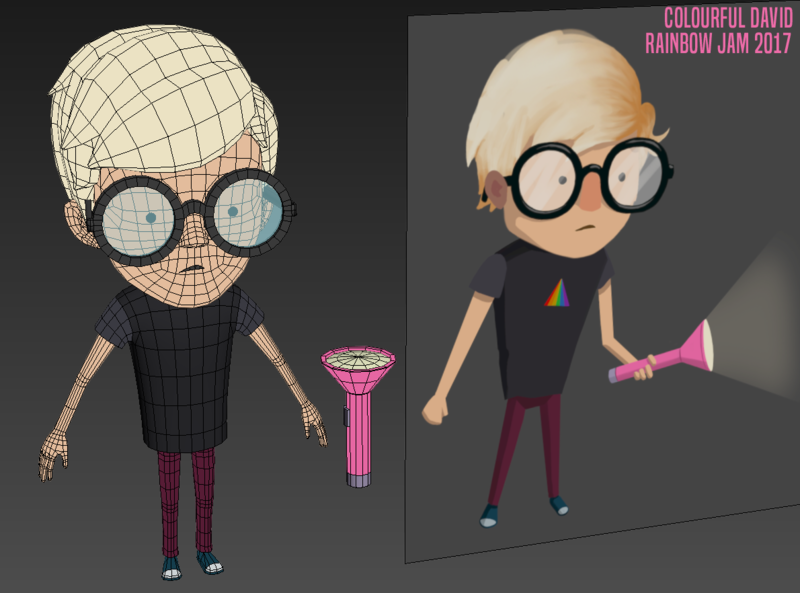 I also moved the colours for beams etc. into global variables so I can easily change the colour scheme for different levels. Next job is to make actual puzzle levels with these pieces. Well I spoke too soon on 'fixing all the bugs' ! 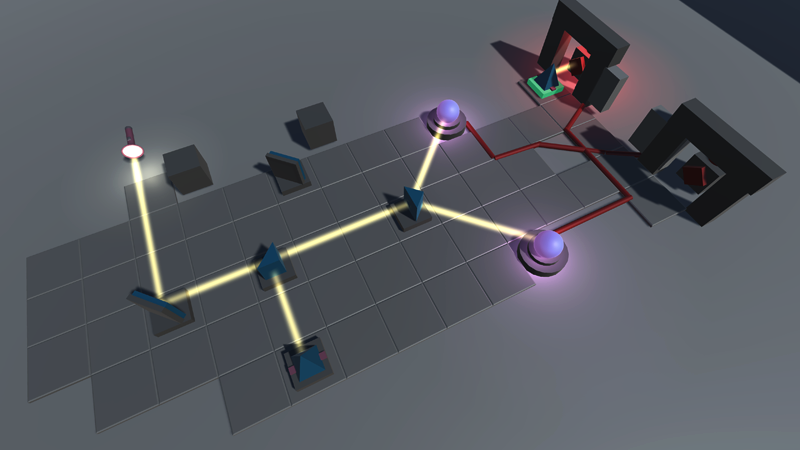 Starting to make some real puzzles/levels with the beam modifiers uncovered a lot of issues, especially when it came to activating things with the 'power' node to do things like open doors. There was an issue that the 'open' animation trigger would get called twice sometimes and end up with the door getting out of sync with the power being on/off. In the end I've redone the logic for all the beams from scratch. It took quite a bit of time to find out what was causing all the bugs and re-do them all but I think (shouldn't have said that!) I fixed them all now. I think I've got all the mechanics worked out now (I'll probably be saying that up to the last day!) and it's all working properly now. I have all the beam modifiers I need - redirect, splitter, teleport, all of them can be rotated 45 degrees (was 90 before) and placed on an unoccupied floor tile, which are highlighted when you have a piece selected. 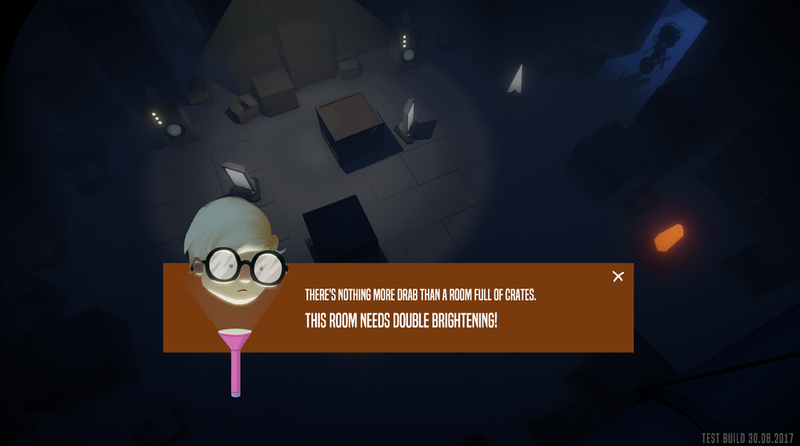 Each piece also lights up with the correct colour when the beam hits it, which is the main purpose of the game - to brighten the place up with Davids magic torch! I've made a start with the environment art and making an actual level with the basic set of pieces I made. 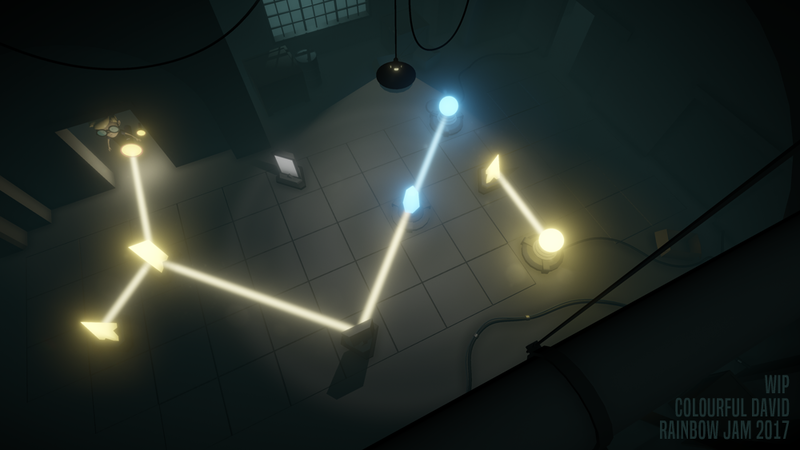 I also did a first pass on the lighting and tried some of the nice new post effects that are now part of Unity. They're blooming marvelous! 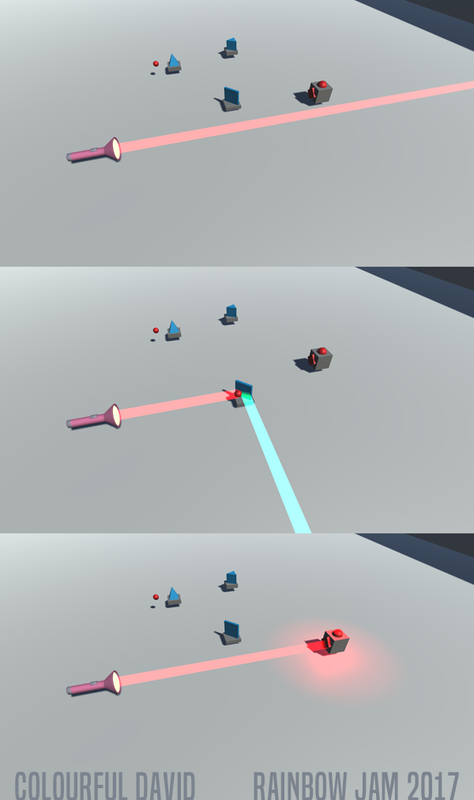 Only the first (red) level is available in this build, the others are placeholder. Please let me know if you find any bugs!